Besides our new editions of Welsh-language texts we shall be building up a compendium of up-to-date information and research on a full range of sources, saint by saint. 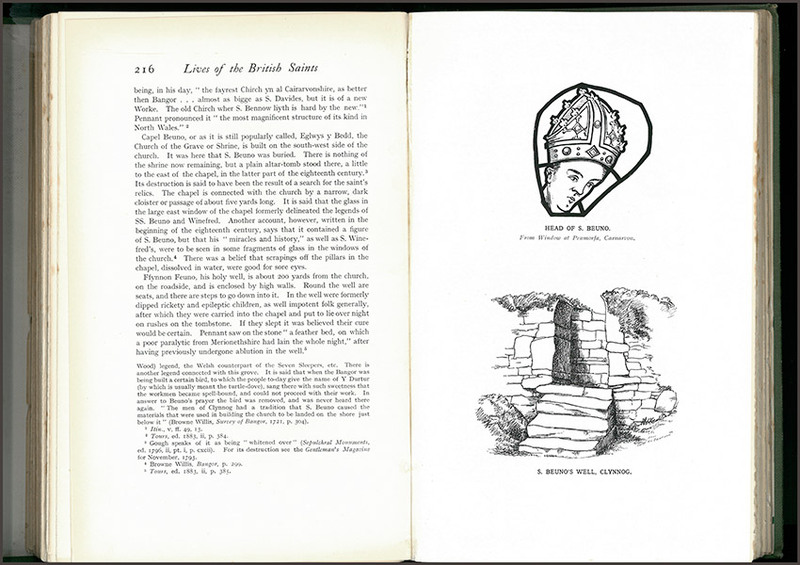 Between 1907 and 1913, Sabine Baring-Gould and John Fisher published The Lives of the British Saints, a four-volume compendium of the traditions associated with all of the early saints of Wales (and elsewhere in Britain). The books are a treasure trove of facts and stories and remain a valuable quarry for information today. However, the authors were often uncritical of their sources, and tended to conflate unrelated saints with similar names, weaving detailed narratives based on misconceptions and guesswork. Many of the texts we are editing were not represented at all. 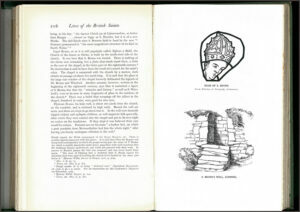 Text and illustrations from S. Baring Gould & John Fisher, Lives of the British Saints, vol i, 1907. Perhaps St Beuno or St Deiniol, probably early sixteenth century, Church of St Beuno, Penmorfa, Gwynedd. Despite its limitations, The Lives of the British Saints has not yet been superseded by any single collection. 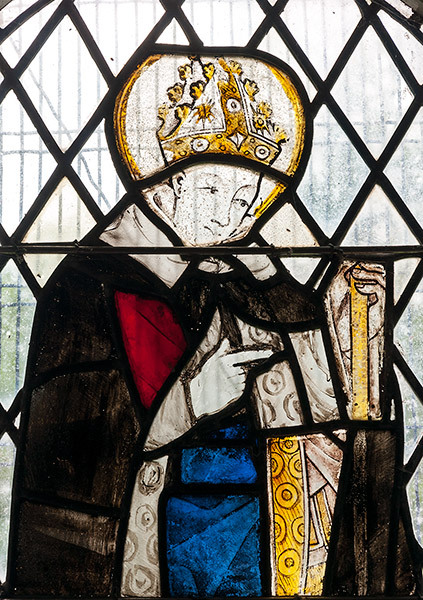 Our project is making a start in this direction: as well as the texts we are editing, our website will summarize all the sources, with maps of church-dedications and related place-names, for the leading saints of Wales. We begin by testing a few sample pages. Note that these sample entries, while fully worked-up with regard to content, are simply linked together to give an impression of how the site will work when it is fully launched. On publication of the edition, in spring 2017, the material will be migrated to the ‘Kiln’ system: at this point links between texts, and to bibliography etc, will become live. Including the bibliography at the foot of each page is for convenience in the meantime.